The complete end-to-end framework offers effortless startup and empowers you with tooling every step of the way. Write idiomatic TypeScript smart contracts that look, feel and work just like a normal TypeScript program. Test smart contracts with familiar frameworks like Jest using the intuitive client APIs. NEO•ONE courses distill the essentials of dapp development into bite-sized interactive learning chapters. 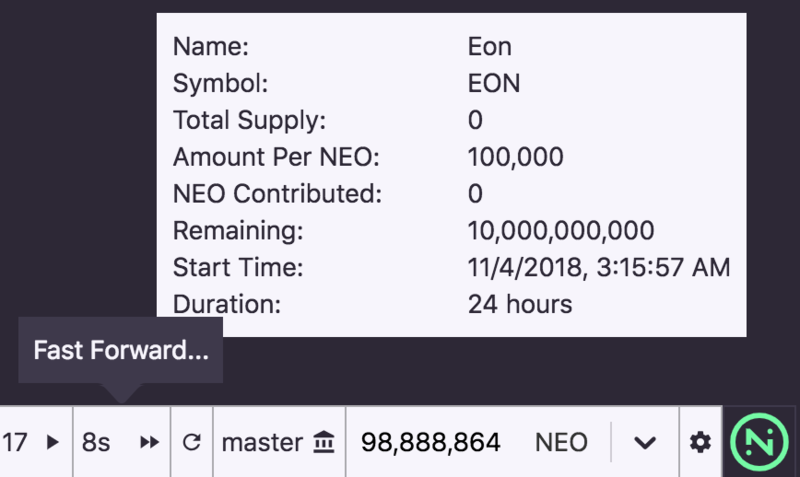 Build, test and write the UI for smart contracts with the NEO•ONE editor. With the most comprehensive documentation available for NEO, you'll always have a resource to reference. Take NEO•ONE for a spin, right in your browser, no setup required! The example below implements a full token and ICO smart contract. Click "Run Tests" and you'll notice there's a failure. Try to fix it! Learn everything from the fundamentals to advanced topics of NEO•ONE development with NEO•ONE Courses. We'll walk through building the contract below and more using the NEO•ONE Editor. Authoring smart contracts has never been easier. First class TypeScript integration means that smart contracts are strongly typed and will never leave you guessing at what's supported. Write idiomatic TypeScript with inline compiler diagnostics using the NEO•ONE TypeScript plugin. Test smart contracts with human-friendly NEO•ONE client APIs. Each test runs a fresh full node and comes with handy utilities to enable scenarios like fast forwarding the node's block time to a point in the future. NEO•ONE's Developer Tools makes developing a decentralized application easier, faster and much more satisfying. Developers can switch between preloaded local development wallets, fast forward the current block time, access links to a local NEO Tracker instance and more.